Morganite is the pink to purplish-pink variety of Beryl. 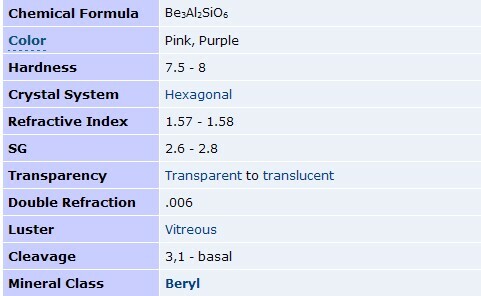 Beryl is best known for its gem varieties Emerald and Aquamarine, but other gem forms such as Morganite are also used. Morganite was first identified in 1910, and was named the following year by George F. Kunz in honor of financier and banker J.P. (John Pierpont) Morgan. Morgan was an avid collector of gemstones.